"If you have a body, you are an athlete"
Our mission at Prosthetic Running is to provide individuals with lower extremity amputations with the knowledge to run properly, prevent injuries and connect with other runners and healthcare professionals to provide an improved quality of life through the freedom of running. Please read this message before you perform any of the exercises on this website, or any other exercises, including running, with your prosthetic limb. Please note that all individuals have varying exercise needs and abilities. 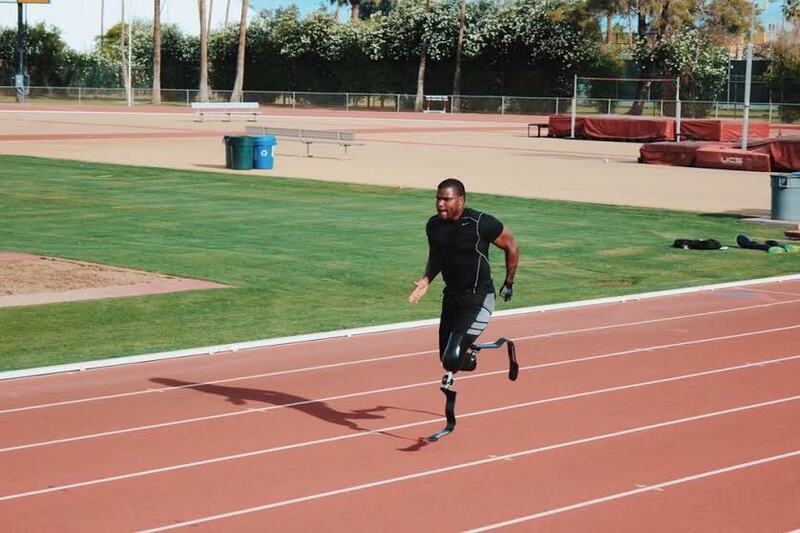 This website is only intended to provide you with background knowledge on some ways to train, and very basic guidelines for running with a lower limb prosthesis. These are not hard and fast rules or requirements for running. As with any physical activity you should check with your physician to make sure that exercise is a safe option for you. The instructions and exercises presented on this website are in no way intended as a substitute for personal medical counseling. Some exercises on this website may require you to perform balance-related tasks; please make sure that there is someone around to assist you if needed and that all exercises are performed in a safe environment. It is mandatory that before you perform any exercise, check with your health care providers to ensure that the skin integrity of your residual limb is sufficient to withstand the forces which the limb will be placed under during running or other exercise. If you have frequent or current wounds and/or drainage issues, you should not perform any of these exercises without clearance from a physician. Always be sure to check with your prosthetist prior to initiating a running training program to ensure that the volume of your residual limb is stable, and your prosthesis is fitting properly. Running and other forms of physical activity offer physical as well as mental health benefits that can improve your quality of life. This website was created by Kelly Moran for her academic practicum as a part of the DPT program at Boston University. The compilation of the information presented on this website required a combination of expert opinion, personal experience, and the current evidence available in the literature. Click here to view the evidence used to create this website.